- Dances from Nyárádmente for chindren. - Folk-pub with music till dawn. 130 EURO/person which is all inclusive, all day activities, dance and music tuition, food and accommodation in your own tent. For accommodation with families additional charges will apply. The patricipation fee can be payed when you arrive, but only in Romanian lei using the current days exchange rates! Children under 10 years are eligible for a 10% discount. Children under 2 years of age can come for free. In the case of groups, with four full-fee paying participants every fifth person receives free registration. Folkdance-groups and ensembles above 10 persons are receiving 20, and above 20 persons 25 discount. For this to be valid, the group has to be registered by the 1st of July 2017 with a full list of names. The organizers reserve the right to amend the programe. Please refer regularly to our homepage to be informed of any changes that may happen. We welcome any helping ideas, suggestions, inspirations. Those whishing to „relax”, please abstain from attendance in this camp! Collectivization did not affect Sâmbriaş, fact that was beneficial for the preservation of the immaterial cultural heritage: folk dances at songs. The folk dance camp organized each year in mid-July Sâmbriaş offers dance and music courses for beginners and advanced, folk pub throughout the night, ethnographical presentations, concerts, workshops for children etc..Activities/Special Events:- Dance teaching- Dances from Marossárpatak and Nyárádselye daily for experienced dancers. Dance teachers: Csaba László, Zsolt László,Ildikó László Bartha- Dances from Jobbágytelke for starting dancers. Dance teachers:János Fazakas, Emese Fazakas- Dances from Székelymezőség ( Mezőkölpény) for gourmets. 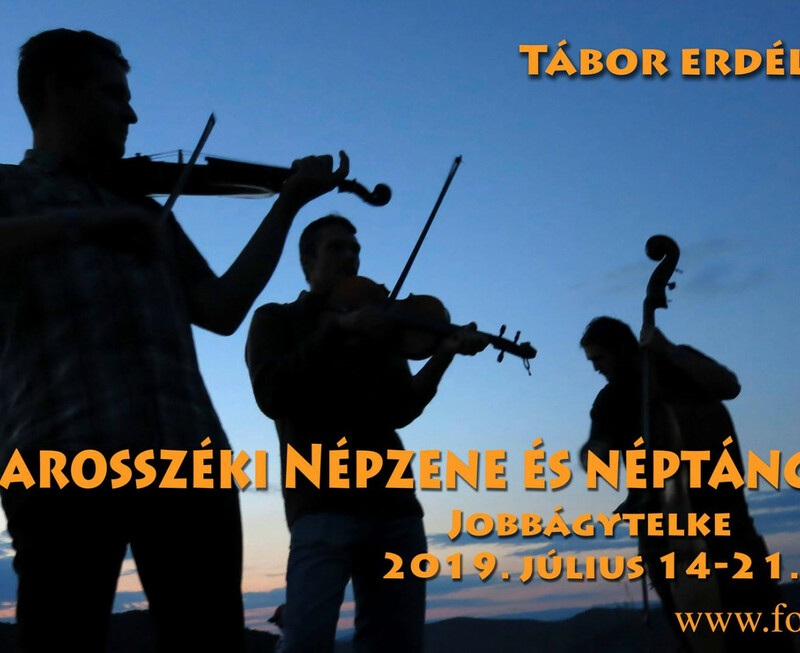 Dance teachers:Elemér Kádár, Rozália Molnár- Dances from Nyárádmente for chindren.- Folksong teaching ( „Marosszék” region songs): taught by Magda Kásler- Folk music tuition (fiddle, viola and base): the Péterlaki musicians, under the guidance of András Sinkó- Music provided by the Aladár Csiszár band, MAGOS band ,Üver Band, ÖVES band and informant village musicians- „Táncház” (Dancehouse) every night with the participation and performance from legacy-keeper village groups and informant village dancers, musicians and singers - Ethnographical lectures- Presentation/showcasing of traditional folk professions, local handicraft production and village activities and functions (straw weaving, straw hat sawing, blacksmith work, cowmilking, harvesting and breadbaking)- Handicraft workshop- In the village and surrounds there will be opportunities for ethnographical data collection- Photographical exhibition- Ethnographical film screenings- Quiz games- Village museum- A wide variety of entertaining complementary activities- Day-trip to the „Esztena”, meeting with local shepherds, campfires- Folk-pub with music till dawn.- SurprisesParticipation fee:130 EURO/person which is all inclusive, all day activities, dance and music tuition, food and accommodation in your own tent. For accommodation with families additional charges will apply.The patricipation fee can be payed when you arrive, but only in Romanian lei using the current days exchange rates!We can't change money at the information officeEntry fee Discounts:Children under 10 years are eligible for a 10% discount. Children under 2 years of age can come for free.In the case of groups, with four full-fee paying participants every fifth person receives free registration. Folkdance-groups and ensembles above 10 persons are receiving 20, and above 20 persons 25 discount.For this to be valid, the group has to be registered by the 1st of July 2017 with a full list of names.We welcome your registration on our Aplication formThe organizers reserve the right to amend the programe.Please refer regularly to our homepage to be informed of any changes that may happen.We welcome any helping ideas, suggestions, inspirations.Postal Address:P-ta Victoriei nr 19/11, Ro-540029 Targu-MuresPhone: 004 0784-483525office@folkcenter.roThose whishing to „relax”, please abstain from attendance in this camp!